Coconut oil is a type of fat that has been touted for its health-promoting properties. From decreasing levels of LDL cholesterol to improving brain function in Alzheimer’s patients, coconut oil is associated with a multitude of health benefits (1, 2). In fact, several studies have even found it might have benefits for skin health as well. This article looks at the evidence to examine whether coconut oil is good for skin. Coconut oil is a highly saturated oil that is traditionally made by extracting the oil from raw coconuts or dried coconut kernels (3). At room temperature it’s solid, but when heated it can soften or even melt. It’s frequently used in cooking or applied directly to the skin and hair. Coconut oil is rich in medium-chain fatty acids, which are a form of saturated fat. In fact, these medium-chain fatty acids make up about 65% of its total composition (4). Although coconut oil is about 90% saturated fat, it does contain small amounts of mono and polyunsaturated fats as well. One tablespoon contains about 12 grams of saturated fat and 1 gram of unsaturated fat (5). Summary: Coconut oil is used in cooking but can also be applied to the skin or hair. It’s rich in saturated fat and medium-chain fatty acids, especially lauric acid. The medium-chain fatty acids in coconut oil contain antimicrobial properties that can help protect against harmful microorganisms. This is especially important for skin health, as many types of skin infections, including acne, cellulitis, folliculitis and athlete’s foot, are caused by bacteria or fungi (6). This is due to its lauric acid content, which makes up nearly 50% of the fatty acids in coconut oil and can fight harmful microorganisms. One study tested the antibacterial properties of 30 types of fatty acids against 20 different strains of bacteria. Lauric acid was found to be the most effective at blocking the growth of bacteria (7). Another test-tube study showed that lauric acid can kill off Propionibacterium acnes, a type of bacteria that leads to the development of inflammatory acne (8). Furthermore, capric acid is another medium-chain fatty acid found in coconut oil, although to a lesser extent. Like lauric acid, capric acid has been shown to have potent antimicrobial properties. A test-tube study showed that both lauric and capric acid effectively killed off strains of bacteria (9). Another test-tube study demonstrated the anti-fungal effects of capric acid, showing that it was able to inhibit the growth of certain types of fungi (10). Summary: The fatty acids found in coconut oil have antimicrobial properties that effectively kill bacteria and fungi. Chronic inflammation is a major component of many different types of skin disorders, including psoriasis, contact dermatitis and eczema (11). Interestingly, coconut oil has been shown to have anti-inflammatory properties. In one study, researchers applied virgin coconut oil to the inflamed ears of rats. Not only was coconut oil found to have an anti-inflammatory effect, but it relieved pain as well (12). 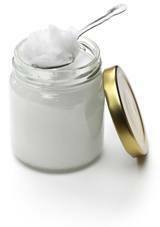 What’s more, coconut oil may ease inflammation by improving antioxidant status. Antioxidants work by stabilizing free radicals in the body, neutralizing the reactive atoms that can contribute to inflammation (13). A 2013 animal study fed rats different types of oil, including coconut oil, olive oil and sunflower oil. At the end of the 45-day study, virgin coconut oil had improved antioxidant status and prevented oxidative stress to the greatest extent (14). It’s important to keep in mind that most current research is limited to animal and test-tube studies, so it’s hard to know how these results may translate to humans. However, based on these studies, coconut oil shows great potential in its ability to reduce inflammation when consumed or applied to the skin. Summary: Animal studies have shown that coconut oil may relieve inflammation by improving antioxidant status and decreasing oxidative stress. While some think coconut oil clogs pores, considerable research shows it might actually help treat acne. Acne is an inflammatory condition, and many of the medications used to treat it work by targeting and reducing inflammation (15). Because coconut oil and its components may help reduce inflammation in the body, it may also aid in the treatment of acne. 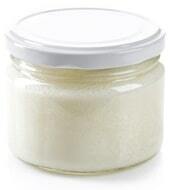 Furthermore, the antibacterial properties of the medium-chain fatty acids in coconut oil could also help reduce acne. Numerous studies have shown that lauric acid, which accounts for nearly half of the fatty acids in coconut oil, has been shown to kill off the strain of bacteria linked to acne (8, 16). In fact, test-tube and animal studies have shown that lauric acid is more effective than benzoyl peroxide at preventing the growth of acne-causing bacteria (16). Along with lauric acid, capric acid has been shown to have anti-inflammatory and antibacterial properties. A 2014 animal and test-tube study showed that both lauric and capric acid were successful in reducing inflammation and killing off bacteria to prevent acne (17). To get the best results, coconut oil should be applied directly to the skin in areas where acne is found. Summary: The anti-inflammatory and antibacterial properties of coconut oil and its components could help treat acne. In addition to its effects on acne and inflammation, applying coconut oil to your skin can also help keep it hydrated. One study compared the effects of coconut oil to mineral oil, a type of oil made from petroleum that’s often used to treat dry skin, on patients with mild to moderately dry skin. The two-week study found that coconut oil significantly improved skin hydration and was just as effective as mineral oil (18). It has also been shown to help treat eczema, a skin condition characterized by scaly, itchy rashes. A study comparing the effects of olive oil and coconut oil in 52 adults with eczema found that applying coconut oil helped reduce dryness, in addition to helping treat eczema (19). Another study found similar results, showing that coconut oil led to a 68% decrease in eczema severity, making it significantly more effective than mineral oil in the treatment of eczema (20). 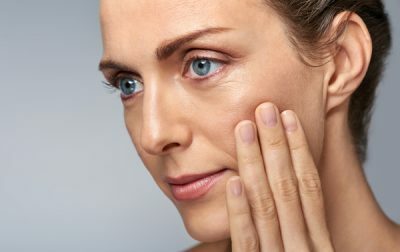 Keeping your skin hydrated can help preserve its function as a barrier to keep out bacteria, promote the healing of scars and maintain overall skin integrity (21, 22, 23). Summary: Coconut oil can be an effective moisturizer and aid in the treatment of dry skin and eczema. Several studies have demonstrated that coconut oil may also aid wound healing. 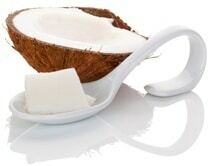 One animal study looked at how coconut oil applied to the skin affected wound healing in rats. It found that treating the wounds with virgin coconut oil sped up healing, improved antioxidant status and increased levels of collagen, an important protein that aids in wound healing (24). Another animal study showed that coconut oil combined with an antibiotic applied to the skin was effective at healing burn wounds (25). In addition to improving wound healing, its antimicrobial properties may also prevent infection, one of the major risk factors that can complicate the healing process (26). Summary: Animal studies have shown that coconut oil may help accelerate wound healing. Who Shouldn’t Use Coconut Oil? While research shows coconut oil can benefit skin health, applying it to the skin may not be ideal for everyone. For example, those who have oily skin may want to avoid doing so, as it may block pores and cause blackheads. As with most things, trial and error may be the best approach to determine if coconut oil works for you. Additionally, if you have sensitive skin, use a small amount or try applying it only to a small section of skin to make sure it doesn’t cause irritation or blocked pores. Yet, eating and cooking with coconut oil is generally not a problem for most people. That said, if you have oily or highly sensitive skin, consider adding coconut oil to your diet instead to take advantage of its benefits. Summary: Coconut oil could potentially clog pores. Using a small amount and slowing testing your tolerance to it is recommended for those with oily or sensitive skin. Coconut oil can be produced through dry or wet processing. Dry processing involves drying coconut meat to create kernels, pressing them to extract the oil, then bleaching and deodorizing them. This process forms refined coconut oil, which has a more neutral scent and higher smoke point (27). In wet processing, coconut oil is obtained from raw coconut meat — instead of dried — to create virgin coconut oil. This helps retain the coconut scent and results in a lower smoke point (27). While refined coconut oil may be better suited for cooking at high temperatures, virgin coconut oil is a better choice in terms of skin health. Not only does most of the existing research focus specifically on the effects of virgin coconut oil, but there’s also evidence that it may have added health benefits. A 2009 animal study found that virgin coconut oil improved antioxidant status and increased ability to neutralize disease-causing free radicals, compared to refined coconut oil (28). Another test-tube study showed that virgin coconut oil had a greater amount of inflammation-reducing antioxidants and phenols, as well as an improved ability to fight free radicals, compared to refined coconut oil (27). The results of these two studies indicate that virgin coconut oil may be more effective than refined coconut oil at preventing oxidation and neutralizing free radicals, which can damage cells and lead to inflammation and disease. Summary: Virgin coconut oil may be a better choice than refined coconut oil, given that it provides added health benefits like improved antioxidant status. Although the health benefits of eating coconut oil are well-studied, research on its effects on the skin is mostly limited to animal or test-tube studies. However, coconut oil may be linked to some potential benefits for skin, including reducing inflammation, keeping skin moisturized and helping heal wounds. The medium-chain fatty acids found in coconut oil also possess antimicrobial properties that can help treat acne and protect the skin from harmful bacteria. If you have oily or highly sensitive skin, make sure to start slowly to assess your tolerance, and consult with a dermatologist if you have any concerns.